A beige cotton fisherman sweater from L.L.Bean. See how you can coordinate your wardrobe in 5 different ways with 1 item, under $100. Monday Date Night: Meet the sweater no longer reserved for daytime. 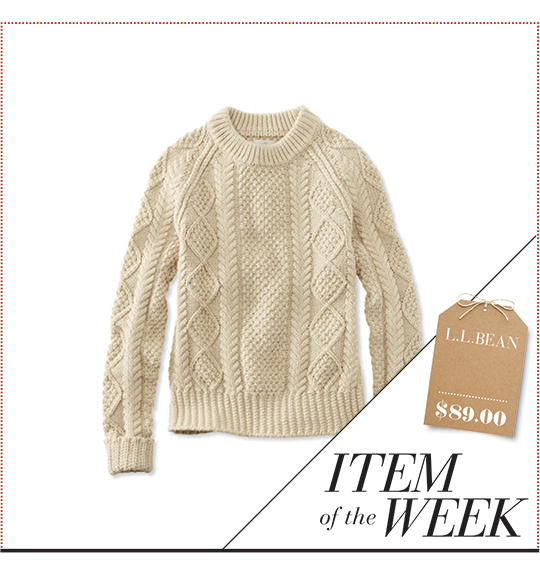 This week's cotton fisherman L.L.Bean sweater can transform your outfit from ordinary to something magical. Simply pair it with a dazzling metallic skirt and accessorize with elegant evening details for that scene-stealing allure. 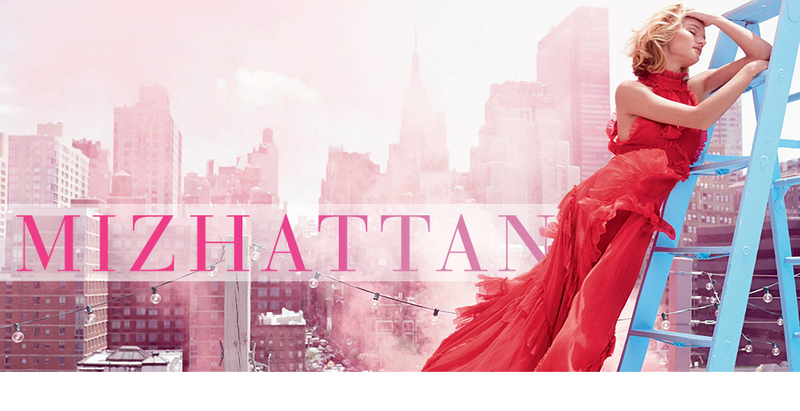 You'll love a pair of bead tassel earrings, a pink satin evening bag, glittered flats, and rosy fragrance. Tuesday Dinner Plan: Shift out of your usual fashion routine and make an instant impact next time you head out to your dinner reservation. A bow-embellished herringbone jacket, a black crêpe wool skirt, a pair of small hoop earrings, a burgundy leather tote, multi-strap flats, Monday's fragrance, and dusty pink lipstick will give your dinner look a polished feel. Wednesday Office-friendly: For the ultimate head-to-toe work look, seek casual fit, cozy layers, and modern accessories. Your new 9-to-5 hero pieces include a belted long trench coat, a tweed mini skirt, a pair of tall suede boots, an oversized buckle-embellished satchel, Tuesday's pink lipstick, and glowy foundation. Thursday Cold: When it comes to facing the freeze, look no further than a shearling-trimmed parka. Throw on this utilitarian coat over this week's fisherman sweater and a pair of skinny jeans to stay cozy and chic. 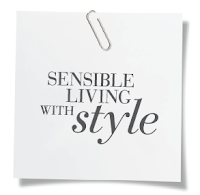 You can also add a few practical winter accessories to complete today's outfit. Try a pair of bouclé wool-blend mittens, a silver ear cuff, gray suede booties, a brown shoulder bag, and Wednesday's sheer foundation. 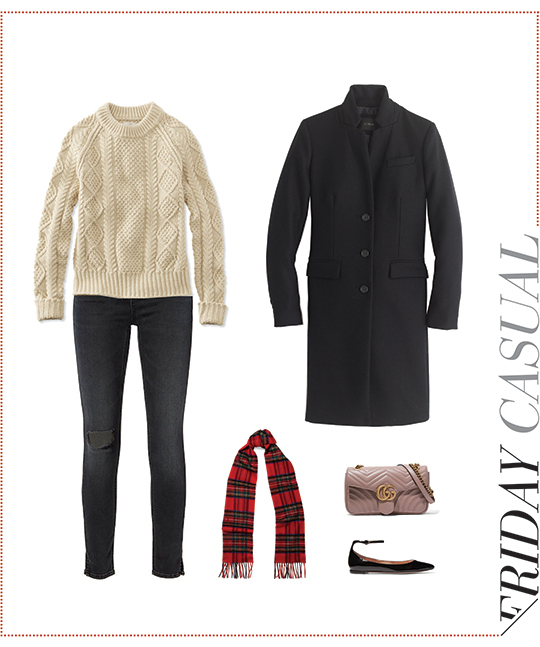 Friday Casual: Want to update your off-duty style for the cold season? Here are must-have wardrobe enhancers: a standing collar coat, a pair of distressed jeans, a red tartan scarf, a quilted chain shoulder bag, patent leather ankle-strap flats, and the L.L.Bean sweater.